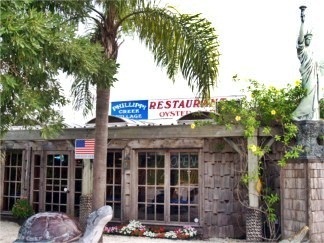 Phillippi Creek Restaurant and Oyster Bar is a seafood lover's treat. 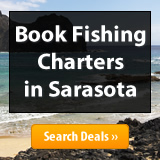 Seafood specialties and land lubber treats. 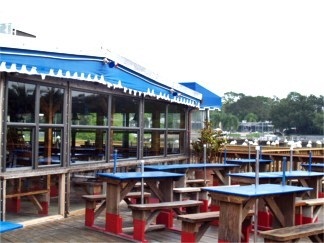 Phillippi Creek Restaurant and Oyster bar offers both outdoor and indoor dining on the water at Phillippi Creek. There’s a water view from almost anywhere inside or outside the restaurant on their open air deck. I’ve had lunch or dinner here numerous times and I can see why they’re consistently voted among restaurants in Sarasota as “best seafood restaurant and raw bar.” Plus, it's a fun place. You can bring the kids here too. 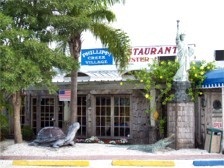 Phillippi Creek Restaurant and Oyster Bar offers a casual and fun, family-friendly dining atmosphere and an extensive menu of favorites, cooked any way you like them cooked: broiled, steamed, fried, blackened, baked and grilled. There is definitely a menu filled with delicious seafood here and the fact that you can have the option of how you’d like it cooked means that you can really ‘customize’ your meal. I hope you don’t read this while you’re hungry, especially if you’re a seafood lover. I have found that Seafood lovers are their own special brand of folks! 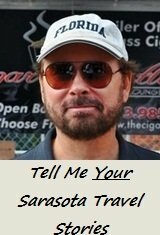 Well, let me give you a brief rundown of their extensive menu: Now, as I’ve written about in other reviews here in my Sarasota Dining Guide, I like to treat myself to a nice shrimp scampi dinner on occasion. At Phillippi Creek Restaurant and Oyster Bar they have their own unique recipe, as do the others I’ve reviewed. The Scampi entrée here comes with plenty of shrimp in lots of garlic, olive oil and butter sauce. Of the several different Shrimp Scampi reviews you’ll find among the Sarasota Restaurants reviewed on Escape-to-Sarasota, this one is definitely the one with some “kick.” And it may be a bit strong for some folks’ taste, but if you like it this way it’s simply delicious! They use a lot of chopped garlic in this recipe and it’s swimming in amongst the shrimp in the butter and olive oil sauce. It’s good, but it may be a bit strong for some with a more delicate palette. Here’s another delicious tip about Phillippi Creek Restaurant and Oyster Bar: You also get a choice of side dishes with your meal: French fries, parsley potatoes, baked potato or rice, with hush puppies and coleslaw. 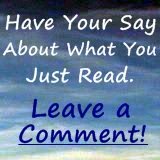 Take my suggestion here. Make sure you order the parsley potatoes. I don’t know how they make them so good but they’re simply the best. I would order them alone. They’re that good. While they have lots of seafood specialties, the parsley potatoes are a specialty in their own rite and go great as a side dish with anything I've ever ordered here. 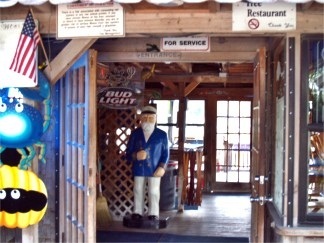 Other scrumptious items you’ll find on the extensive menu include: Crab Cakes, Flounder and Grouper sandwiches. There’s Seafood Fettuccine with Shrimp, Scallops and Grouper, even Lobster Fettuccine. You'll also find your choice of Shrimp and Blue Crab dinners; there are Canadian Sea Scallops, Shrimp & Scallops and Sautéed Baby Lobster Tails on the Phillippi Creek Restaurant menu. Even more: There’s Shrimp, Flounder or Grouper stuffed with Shrimp, Scallops, and Blue Crab Stuffing. Yum! Very delicious. The menu also features a wide selection of baked, charbroiled, fried or steamed platters with both seafood or land lover’s selections; on the charbroiled menu, for example, there's Filet Mignon and Chicken. They also supply a “Healthy Heart” menu for those on a restricted diet. For those whose tastes don’t run toward seafood, there are selections from burgers to steak and chicken sandwiches. There’s a lot to choose from on the Phillippi Creek Restaurant and Oyster Bar menu for sure! There's full bar service, large dining rooms and picnic style tables inside and outside on the open air deck. 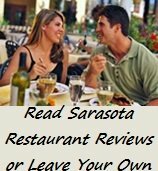 And with this being one of the Sarasota top restaurants, year after year in local polling, it is usually filled at dinnertime with hungry seafood lovers so there may be a bit of a wait, so plan accordingly with your time and appetite. 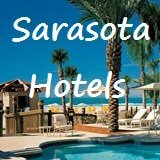 The food, service and quality at this casual, family fun and friendly Sarasota restaurant are very good. 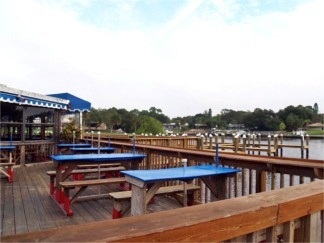 Plus you can sit outside or inside and have a water view of Phillippi Creek from about anywhere in the restaurant. For fresh seafood, combo steam pots and platters, chicken and steaks, soups and salads and more, Phillippi Creek Restaurant and Oyster Bar makes the grade. I love it. Directions: Take U.S. Rt. 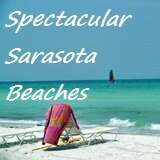 41 to the Phillippi Creek area of Sarasota. Located at 5353 S. Tamiami Trail (also known at U.S. Rt. 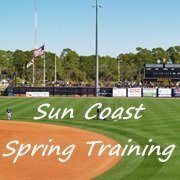 41), look for Phillippi Creek Village on the east side of the road, at Phillippi Creek, south of downtown Sarasota and just south of the Landings Shopping Center, and if you’re coming by water, they’re at Marker 72.